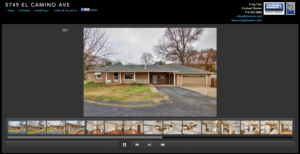 You are here: Home / Food/Lifestyle / Craig’s List: Food, Festivities & Fun for February! Craig’s List is back just in time for the month of February and we have a line-up of food, festivities, and fun that will be sure to sweep you off your feet! From the most romantic restaurants to the best hang out spots for this year’s Super Bowl, you don’t want to miss our top picks. As always, we want to hear from you! If you have any recommendations of your own, we’re all ears. Send Craig an email at cdiez@cbnorcal.com for a special shout-out in next month’s newsletter. Since February is a month dedicated to love and football, we’ve compiled a list of winning restaurants and hangout spots for you to try out. Whether you’re planning a romantic night out or looking to find the perfect game day spot to cheer on your favorite team, you’ll find that each place caters to a unique crowd and occasion. 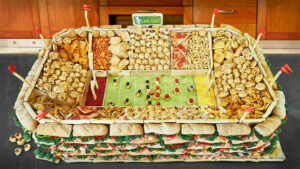 For the Football Fanatics: Gearing up for Super Bowl Sunday? For those of you in Carmichael that want to kick back and watch the Super Bowl with a beer (or two) and some all-American grub, check out Club House Bar & Grill and Palm Street Pub & Grill. To be honest, we just couldn’t decide between the two—both are neighborhood-friendly places that offer full-service bars, delicious burgers, wings, and fries. Palm Street also offers a game of pool and darts. What more could you ask for? If you’re looking for a new place to try downtown, take a trip to Firestone Public House on 16th Street. With 60 beers on tap, 22 flat screens, and two outdoor patios—not to mention mouth-watering burgers and an American-inspired menu—this restaurant is an ideal place for your Super Bowl hangout. Last but certainly not least, you can’t go wrong by paying a visit to Sauced BBQ & Spirits for some good old-fashioned, authentic BBQ with classics including sliced brisket, pulled pork, ribs, and chicken. Oh, and don’t forget the sweet honey cornbread, mac n’ cheese and crispy fries. With plenty of flat screens and a fun and social environment just across the street from the new Golden 1 Center, you won’t be disappointed. 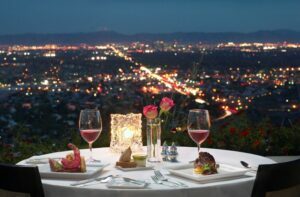 For the total romantic: Located in the heart of Old Sacramento, just steps away from the iconic river setting, small boutiques, and more, The Firehouse Restaurant exudes romance on every level. But it’s not just its location that impresses – this intimate restaurant features an unparalleled menu highlighting the freshest local ingredients, and they showcase the region’s most extensive wine collection. Indulge in their five-course Chef’s Tasting Menu featuring locally sourced ingredients, or order from their classic dinner menu with specialty cuts such as their Brined Berkshire Pork Chop. Click here to reserve your table! 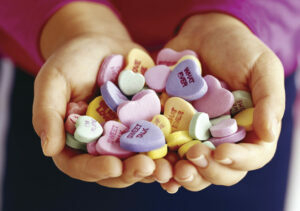 For “ladies night out”: Planning on having a “Galentine’s” night with your favorite ladies? One of Sacramento’s newer restaurants, Wildwoods Kitchen & Bar is a must visit! This trendy restaurant features a classy indoor area with bar and booth seating, an expansive patio area with twinkling white lights, and delicious food pairings. If you’re opting for something lighter, try their Chicken Salad, which is packed with rotisserie chicken, mixed veggies, and goat cheese, then topped with a six-minute egg and drizzled white balsamic vinaigrette. They also have a wide array of vegetarian and gluten-free options. Just be sure to call for reservations ahead of time as they tend to book up quickly. Click here to plan your night! For “night out with the boys”: If you’re planning on spending a low key night out with the guys this year, head on over to Downtown Sacramento’s newest gem, Punchbowl Social. Just steps away from the Golden 1 Center, this popular hangout spot always seems to attract a fun crowd. For starters, their kitchen whips up some delicious culinary delights including Lobster Bacon Fries, Chicken ‘N’ Waffles, and Street Tacos. Need we say more? As for beverages, the sky’s the limit! Choose anything from a handcrafted cocktail to your favorite beer. The best part? There’s games – and lots of them. From bowling and shuffleboard to karaoke and arcade games, there’s something here for everyone to partake in. 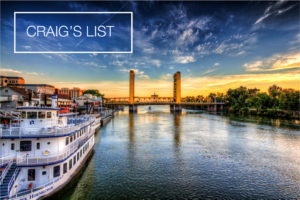 Love is in the air…and Sacramento is gearing up in true style with a pretty sweet offering of events and activities for people of all ages. Click on the below links for a round-up of exciting things happening in and around the city!